Afellay: "Happy to have helped"
Gelsenkirchen - became the latest player to receive a standing ovation from the rapturous crowd at the Veltins Arena, a reception he fully deserved. On Matchday 7, the diminutive attacker scored his first competitive goal for FC Schalke 04 in the 3-0 success against VfL Wolfsburg. Yet it wasn't just the supporters who sung his praises in the wake of this weekend's outing. Generous words also followed from his esteemed team mates. Midfield colleague was unequivocal in his appreciation of Afellay's performance: "I'm incredibly pleased for Ibrahim that he was amongst the goals. He gets better every minute he plays and we're delighted to have such a great player in our squad." Following rumblings of discontent from the crowd after their last home game against 1. FSV Mainz 05, this was comfortably the best performance Schalke have delivered on home soil since the start of the season. Furthermore, it was also Afellay's most noteworthy display since arriving on a season-long loan deal from FC Barcelona in August. On Saturday, he regularly tormented the Wolfsburg defence with his direct running and clever link-up play. Afellay seems to have struck up an almost telepathic understanding with Germany Under-21 captain Holtby, as evidenced by the pair 's expert ball retention. Their innate knowledge of one another's game was illustrated perfectly through Afellay's goal, when he timed his run to perfection to collect Holtby's weighted pass before placing his shot into the bottom corner. It was a moment the Dutchman understandably savoured: "I've scored in friendly games here, but it's obviously much nicer to hit the back of the net in an important match. Still, the main thing is that we won the game so well. I'm just happy to have helped." Horst Heldt was also impressed by Afellay's display. "He´s taken a big step forward with this performance," said Schalke club's sporting director. "He combined well with his team-mates and did his job to great effect, both in attack and defence. The way he took his goal proves that he's confident in goalscoring positions." Those were sentiments echoed by his compatriot , who is evidently looking forward to what Schalke's latest Dutch recruit can achieve in the future. "Ibrahim is technically adept, an unbelievably good dribbler and he can score goals," explained last season's top goalscorer to bundesliga.com. "You saw that after he scored his goal, he tried harder and was demanding the ball more often." Next on the horizon for the Dutch duo is to link up with the national team ahead of two FIFA World Cup qualifiers against Andorra and Romania. Afellay was unused by Oranje head coach and former FC Bayern Munich boss Louis van Gaal for their last game against Hungary after he was judged to be lacking in match sharpness. 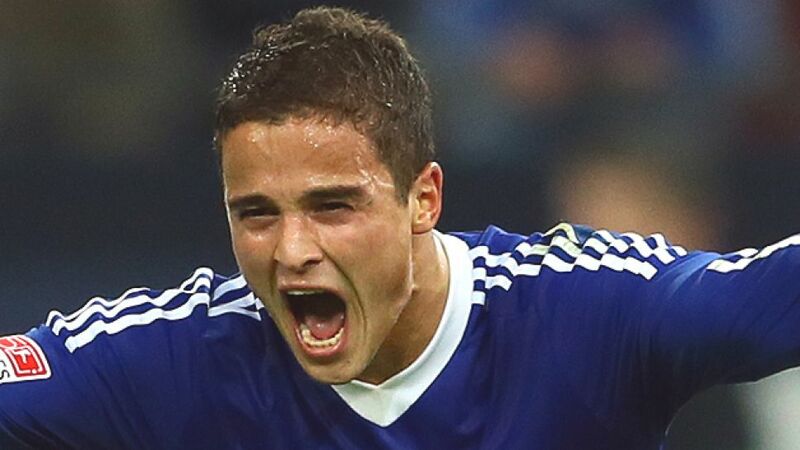 That is something that Afellay has certainly rediscovered, however, and he can now travel to the 2010 World Cup finalists in high spirits. "Winning before the international break was very important. Now we can feel satisfied looking at the league table for the next two weeks."